It is never too early to start making your Christmas cards. I found a great design on Angie Leach’s blog and just had to CASE it. I made a couple in different colours just to see how they looked. Both centre pieces were made with the large die from the Apothecary Accents Framelits. The two step holly images from Watercolor Winter were randomly stamped using Garden Green and Cherry Cobbler, and the sentiments are from Greetings of the Season [still available in the carryover section of the Seasonal Catalogue]. A two way Glue Pen and Dazzling Diamonds were used to ‘bling up’ the piece. Whisper White pieces were embossed with Petals-a-Plenty TIEF and Vine Street TIEF, then sponged with Frost White Shimmer Paint. These pieces were then layered onto Garden Green / Cherry Cobbler. Thanks Angie for the great inspiration. 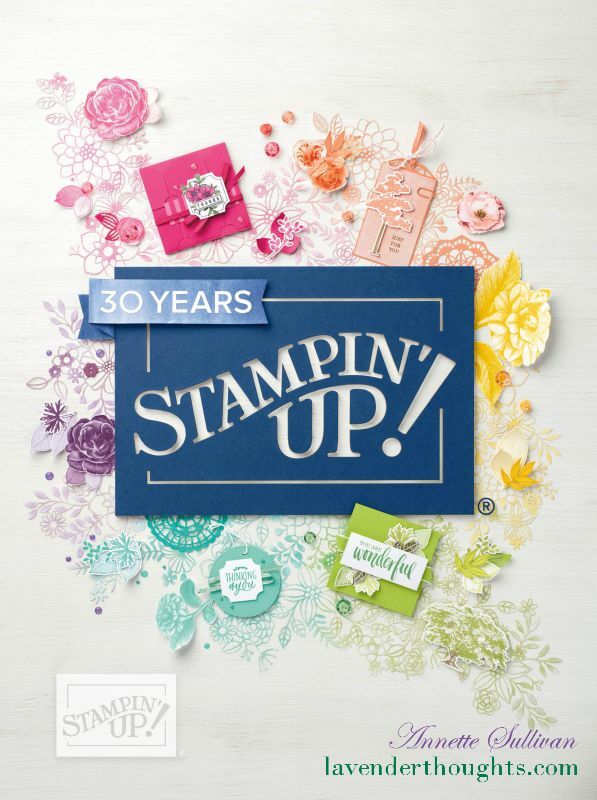 What’s happening now with Stampin’ Up! The new Seasonal Catalogue is now in full swing. Check it out on the sidebar, and scroll through my posts to see some samples on the great products available. 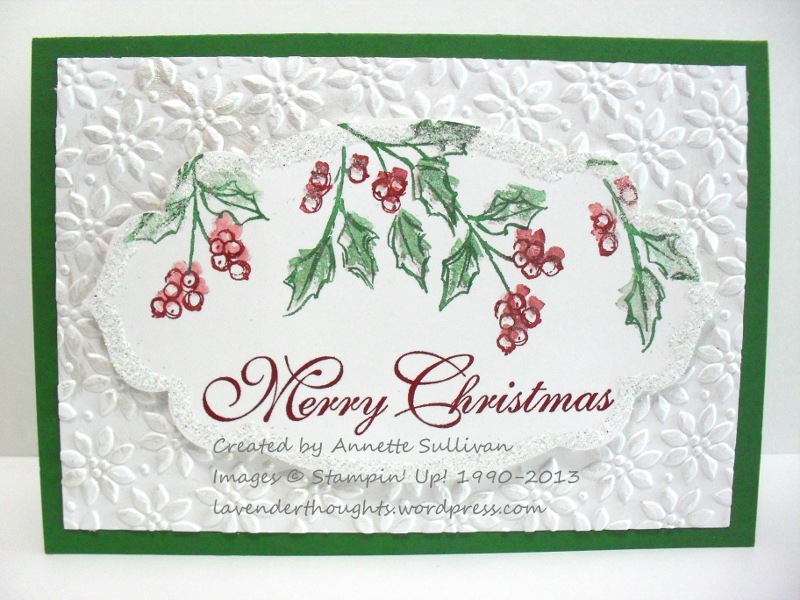 If you wish to add to your stamping supplies, I would be happy to place an order for you. Just send me an email.